Luxury apartment @ Bukit Jalil, adjacent to Bukit Jalil National Stadium, Aquatic Swimming Pool & Bukit Jalil Recreation Park, Kuala Lumpur. It has 3 bedrooms & 2 bathrooms. It comfortably fits big family and just few minute to Kuala Lumpur city center. Big space ideally accommodate 6 to 14 person. 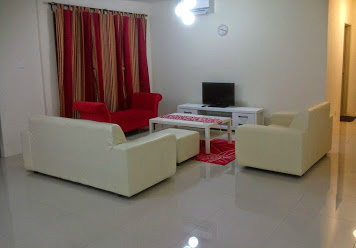 Luxury apartment @ Jalan Ipoh, Kuala Lumpur. It has 3 bedrooms & 2 bathrooms. It comfortably fits big family and just few minute toKuala Lumpur city center. Rent a Van For just RM250.!!!! Email us for more details & booking..! !